CBI sleuths on Monday sealed Punjab National Bank’s (PNB) Brady House branch in Mumbai even as whereabouts of Firestar Diamond owner Nirav Modi, who is accused of defrauding the bank of over Rs 11,400 crore, remain unknown. The agency has pasted a notice barring people from entering the bank office premises. As the inquiry by the Central Bureau of Investigation (CBI) and the Enforcement Directorate (ED) intensifies, reports have emerged that some PNB staffers might have received kickbacks worth over Rs 823 crore – by charging 2 per cent commission on each LoU per year – in granting Letter of Undertakings (LoUs) to the diamantaire. The role of the second largest PSU bank has also come under scanner since questions are being raised whether PNB officials knew that Nirav Modi had changed his official status to NRI (Non-Resident Indian), and still kept on providing loans to his company. A Business Today investigation shows the businessman tried to cover up the mess in November 2017 when Nirav Modi’s one of the companies, ANM Enterprises, allotted 750 shares of Rs 10 each at a staggering premium of over Rs 14 lakh, which totalled around Rs 106 crore. Though there’s no clarity on why he did so yet, sources say the businessman might be trying to placate Indian banks by paying interest or commission portion. Apart from Nirav Modi’s company, his maternal uncle Mehul Choksi’s Gitanjali Gems, Nakshatra, and Ginni are also under the scanner. As each day in the PNB fraud investigation seems to be throwing up more surprises, Business Today brings you real-time updates on the Nirav Modi scam. 10.30pm: Nirav Modi’s lawyer has told India Today that just like 2G and Bofors scams collapsed after much noise, “so will the case against Nirav Modi”. “Agencies are making all these noises in the media, they will not be able to prove these charges in a court of law. Nirav will not be found guilty. I’m certain,” says his lawyer. 10.25pm: Investigation agency sleuths have arrested three more staffers of PNB’s MCB Brady House branch. The suspect are Bechhu Tiwari, chief manager in-charge of Forex department, Yashwant Joshi, Scale II, Manager Forex department and Praful Sawant, scale-I officer of export, reports ANI. The sleuths also conducted searches at their houses in Mumbai. 10.19pm: Nirav Modi allowed his rich clients exchange unaccounted cash worth over Rs 90 crore on a single day after November 8, 2016, when the Modi government had launched the demonetisation drive, reports New18. 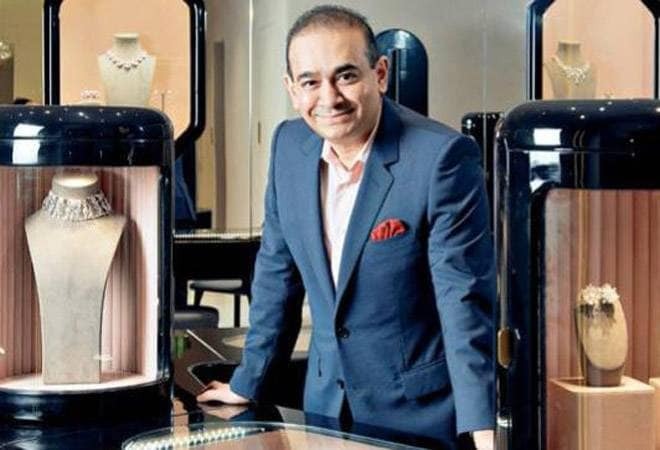 8.14pm: The ED searched Nirav Modi’s Mumbai residence at Samudra Mahal apartments in Worli, and seized fresh assets worth Rs 22 crore, taking the total seizure to Rs 5,716 crore as raids continued for the fifth day. 8.00pm: As investigations agencies dig deeper, it’s been revealed that some partners of Stellar diamonds, Solar Exports and Diamonds R paid Income Tax as low as Rs 930, Rs 620, Rs 431 and even Rs 0 for 2016-17, 2015-16 and 214-15, reports India Today. 7.52pm: Receivables of Nirav Modi’s companies Stellar Diamond, Solar Exports and Diamonds R are huge despite low turnover, reports India Today, adding that companies buying goods were not in a position to pay for them. 7.51pm: Chief Financial Officer (CFO) Karkare has resigned citing personal reasons, says Gitanjali Gems. 7.48pm: Two senior management officials of Gitanjali Gems, CFO Chandrakant Karkare and Company Secretary Pankhuri, and board member Krishnan Sangameswaran have quit the company, the company said in regulatory filing on Monday. 7.33pm: Actor and senior BJP leader Shatrughan Sinha was on a sarcastic tweet spree on Monday. He targeted Prime Minister Narendra Modi and Finance Minister Arun Jaitley over their silence in the Nirav Modi case. 6:03pm: Shrivastav says he was threatened; he accuses Choksi of implicating him in false cases. 5:00pm: The ED conducts searches at Gitanjali and Nakshatra showrooms across Lucknow, Noida and Ghaziabad. The CBI has also questioned more staffers at the PNB’s Mumbai branch on Monday. 4:35pm: Nirav Modi’s legal team is in Dubai, reports India Today. 4:20pm: A petitioner, Vaibhav Khuraniya, who’ invested in Mehul Choksi’s Gitanjali Gems and had to shut down in three months, has alleged Gitanjali of duping him of Rs 80 lakh. Khurania says though court proceedings are underway, Choksi filed plea to quash FIR and fled the country, reports ANI. 4:02pm: An ED team is at the residence of former Allahabad Bank director Dinesh Dubey, who on February 17 alleged that loans were granted given to Mehul Choksi’s Gitanjali Gems in 2013 despite his dissent. Talking to India Today, Dubey had said he had asked the management to first recover the previous loan from Gitanjali Gem before releasing fresh one but he was told “it has to be done in order to stop NPAs and to run banks”. 3:54pm: Shares of Gitanjali Gems, one of the companies charged for colluding with Nirav Modi in Rs 11,400-crore bank fraud, tanked another 10 per cent in morning trade, totalling around 50.25 per cent fall since February 14. 3.42pm: Investigation reveals the arrested PNB officials have disclosed Nirav Modi’s staff members were given ‘unauthorised access’ to PNB computer system to create fraudulent SWIFT messages. The accused have also named five-six more bank staffers involved in the fraud, reports The Wire. 3.20pm: Yoga guru Ramdev says the Modi government would punish Nirav Modi for his sins (defrauding PNB of Rs 11,400 crore and feeling the country, reports ANI. 3.15pm: Reuters reported the police searched the PNB’s Mumbai branch premises on Sunday, and quizzed five more staffers besides questioning employees of Nirav Modi’s company. 3.10pm: India Today reports Nirav Modi changed his status from Indian resident to NRI on November 6, 2017. Nirav Modi was classified as an Indian promoter of his borrowing companies that were issued Letters of Undertaking. Nirav Modi changed citizenship status to NRI before PNB fraud came to light. Did banks know? It is still unclear whether Indian banks, especially PNB, were aware of their borrower’s status being changed to NRI.